Ann Aurelia Nichols married George Farr Houghton, son of James Independence Houghton and Sally Ann Ferris, in 1855. Fannie Houghton married Thomas Elmore. 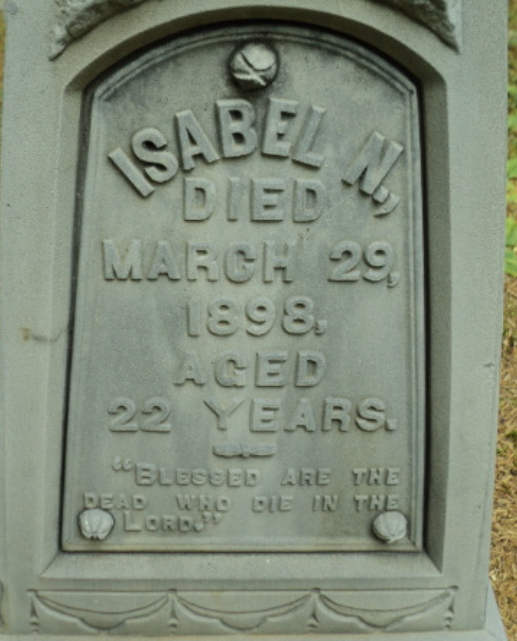 Jesse G. Houghton married Sarah J. Podkin in circa 1903 age 35; mar 7 y in 1910 census; her 2nd. James Orrin Houghton married Mary Frances Howley in circa 1906 age 27 and 19. Alice Jane Walker married Edward R. Houghton, son of Hiram Houghton and Louisa (?). Alice Jane Walker married Isaiah Oliver. Royal Edward Houghton married Margaret A. Oliver, daughter of Isaiah Oliver and Amelia Victoria Matthews, in Dec 21, 1893 at Arcade, Wyoming Co., NY, USA, age 23 and 29; mar 7 years in 1900 census. His second marriage was to Eliza W. Forbes. Her second marriage was to Benjamin Houghton. 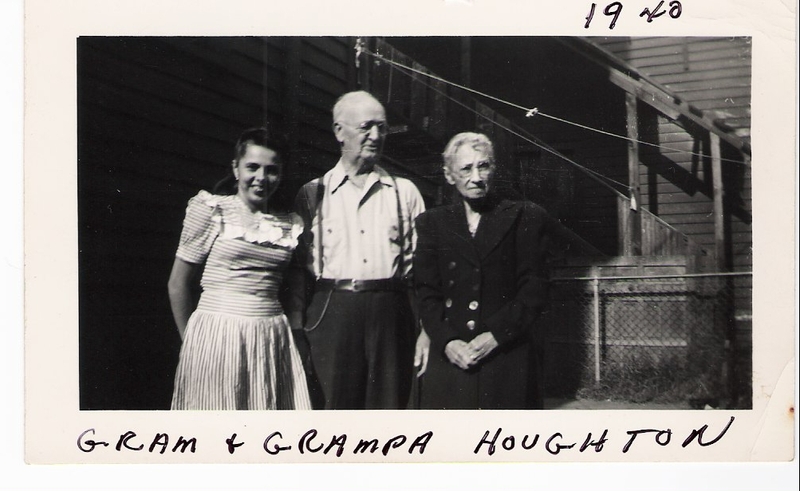 Emily J. Houghton married Eugene Thompson. 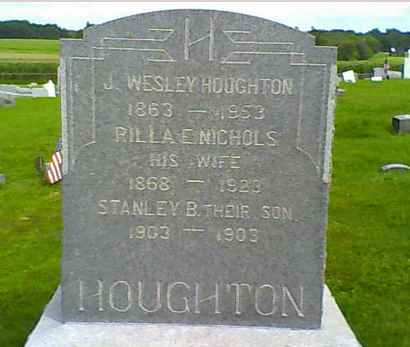 John Wesley Houghton married Rilla E. Nichols in circa 1891 mar 9 years in 1900 census. 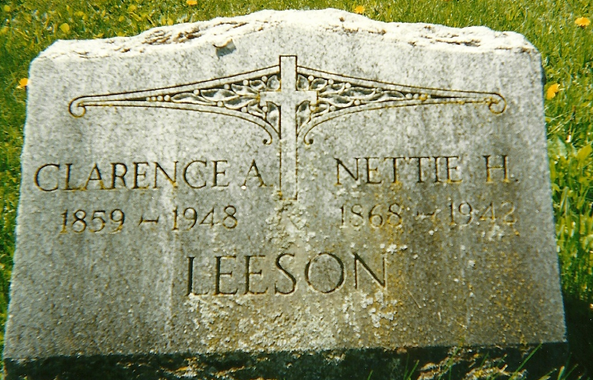 Nettie Houghton married Clarence A. Leeson. George W. Houghton married Helena A. (?) in circa 1895 both age 24; mar 15 y in 1910 census. Warren Barton Houghton married Santa M. Winters in circa 1899 age 27 and 25. Franklin Benjamin Houghton married Olie I. (?) in circa 1900 age 25 and 21. 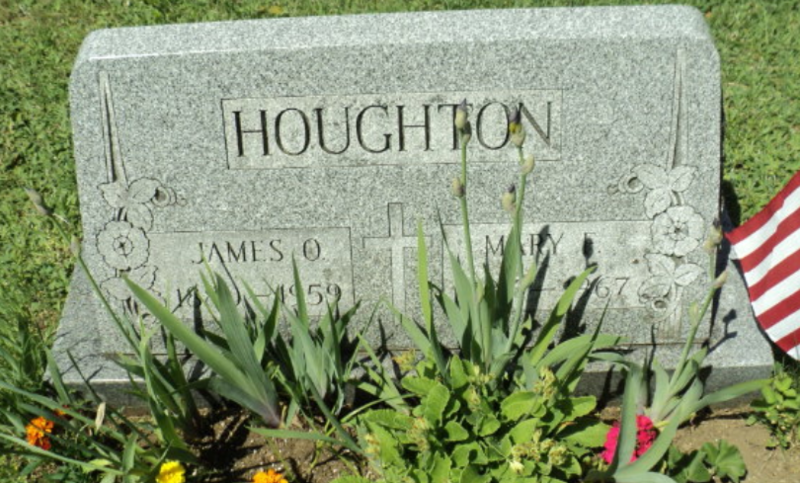 William Henry Houghton married Nettie E. (?) in circa 1901. 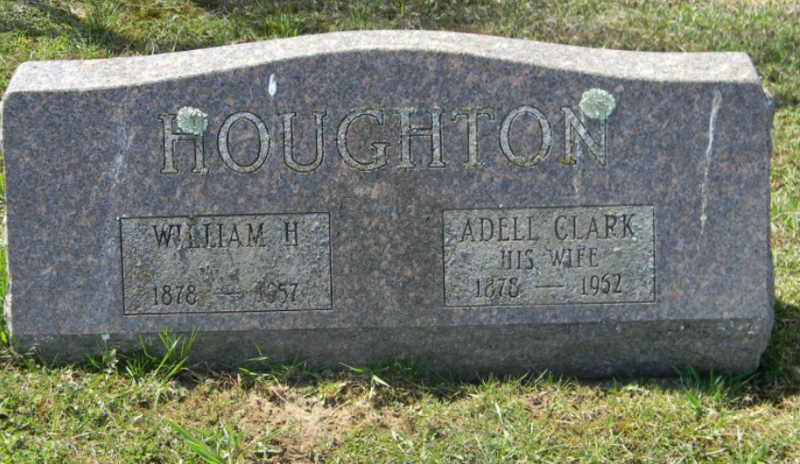 William Henry Houghton married Adell Clark in circa 1920 age 23 and 42, first married. 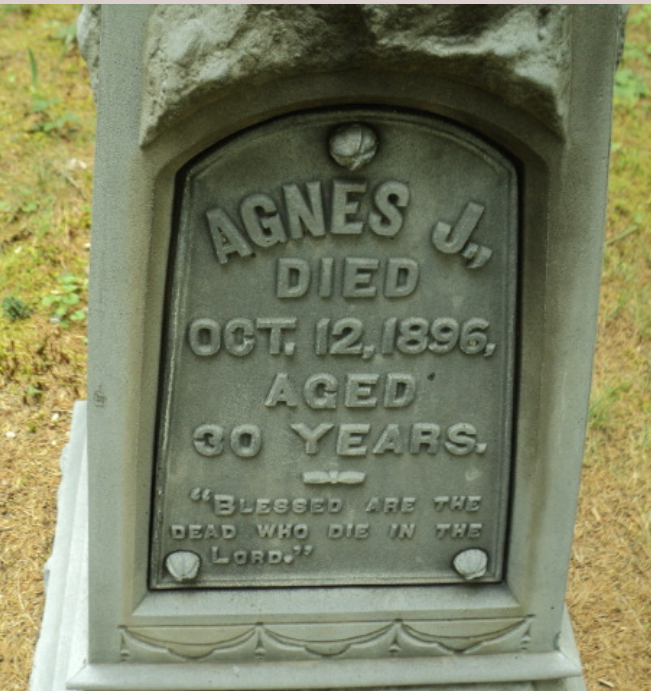 Irvin B. Houghton married Alice E. Lyon in circa 1902 age 24 and 25. 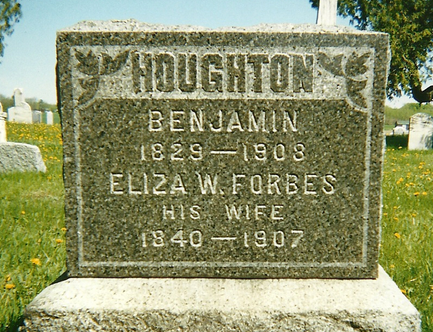 Frederick E. Houghton married Ida Willard. Ida Willard married Frederick E. Houghton, son of Henry L. Houghton and Mary Andrews. Mable Houghton married Rev. Richard E. Sykes in circa 1888 mar 12 years in 1900 census. Blanch Houghton married (?) Faville. Bessie Houghton married Herr Felix Berthold in 1907.